Francis “Fran” Dale Pedersen, 93, of Hendersonville, NC passed away peacefully on November 5th, 2018 in the care of The Almost Home Group in Thomasville. He was preceded in death by his first wife, Gwendolyn Pedersen; his second wife, Jacqueline Pedersen; and his step daughter Melissa Peeples. He is survived by his son Rick Pedersen, and his wife Joyce of Chicago, IL; his daughter Terri Kassakatis, and her husband Steve of Thomasville, NC; his step son Steve Goode, his step daughter Laura Lamb, his nine grandchildren, his nine great grandchildren, and his dear companion Jane Waddell. Fran served as a pilot in the Navy from 1943 to 1945. Following his service, Fran attended law school, passed the bar, and quickly found that law was not what he wanted to do. He switched his career path and began as a branch manager and took on many different roles within the financial industry before retiring. Upon retirement Fran spent much of his time helping the Boys and Girls Club of Henderson County by establishing an annual golf tournament with his good friend Tom Fazio. More than any of his accomplishments, Fran loved his family. He and Gwendolyn (Boots), his first wife were married in 1950 and had two children, Rick and Terri. Upon her passing in 1996, Fran fell in love with Jacki and married in 1997. He and Jacki travelled the world together and were members of Grace Lutheran Church. When Jacki passed in 2013, Fran found comfort and companionship in Jane. They spent the last years of his life enjoying walks, meals, and family time with each other. Fran was truly an inspiration to all he met and his passing will certainly leave a void in the many lives he impacted. A celebration of life service will be held at Hendersonville Country Club on Sunday, November 11th, 2018 at 4pm. In lieu of flowers, please make donations to the Boys and Girls Club of Henderson County. 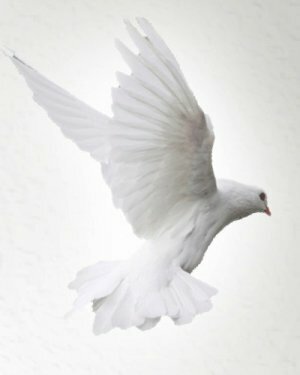 Arrangements are entrusted to Triad Cremation & Funeral Service of Greensboro, NC.